Wash the cucumber, peel and cut into pieces. 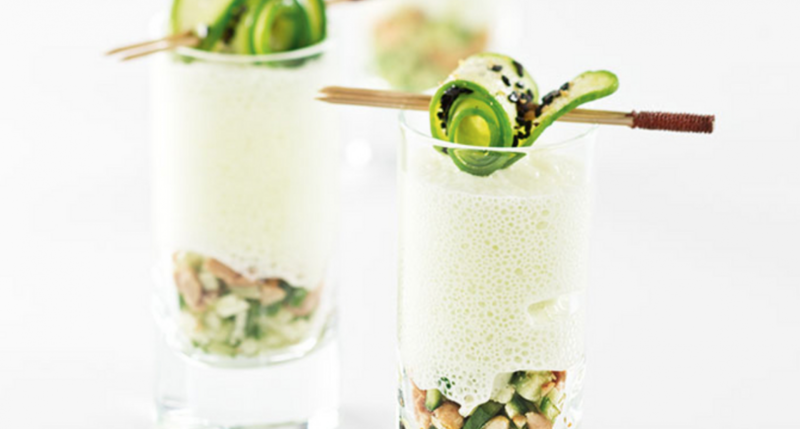 Mix the cucumber pieces with plain yogurt and spices and finely blend the whole mixture in a blender. Then pass the cucumber mixture through a Funnel & Sieve. Soak the gelatin in cold water, heat a portion of the cucumber mixture, dissolve the gelatin in it and add to the remaining cucumber mixture. 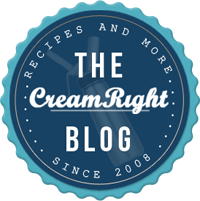 Pour into a 0.5 l Whipper, screw on 1 Cream Charger and shake vigorously. Let the filled Whipper cool in the refrigerator for a min. of 6 hours. The espuma goes very well with salads or shrimps.